ATLANTIC’S NAUTICA offers a weekend cruise to explore the beautiful villages of the Ligurian Riviera. Additional services, i.e. therapeutic massage, can be added for an additional fee. Our regionally acclaimed sommelier will enlighten you about local wines and apertif’s and you will enjoy specially selected farm-to-table theme dinners. This is for the discerning guest whom wants to spend an enchanting evening on the sea. 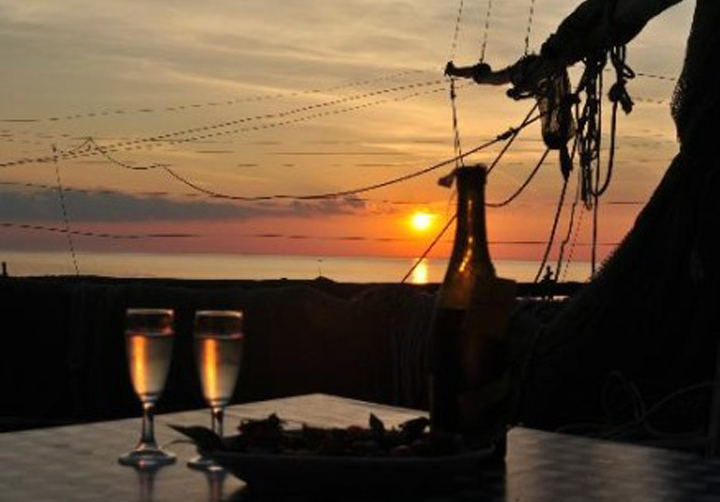 Relax will you enjoy a beautiful sunset, then retire to your room aboard the Nautica will she is berthed in port. When you are refreshed and rested by the salt air, you will enjoy a delightful breakfast the next morning. Liguria is a land that begs to be discovered. It’s many villages are among the most beautiful in Italy. Explore the hidden coves and discover the protected wildlife while sampling the authentic cuisine and specialty wines of this renowned area. ATLANTIC’S NAUTICA offers the chance to live “la dolce vita” through this trip inside Liguria where you will discover each village’s individual personality. This magnificently restored schooner is outfitted in Mahogany and Teak with four berths and two at the bow, a bathroom and a kitchen with two sto-ves and a fridge. Elegant Caique “Ma Dai” in Mohogany. It has 4 high standing double berths, en-suite with shower and air conditioning, accomodating 8/9 guests. 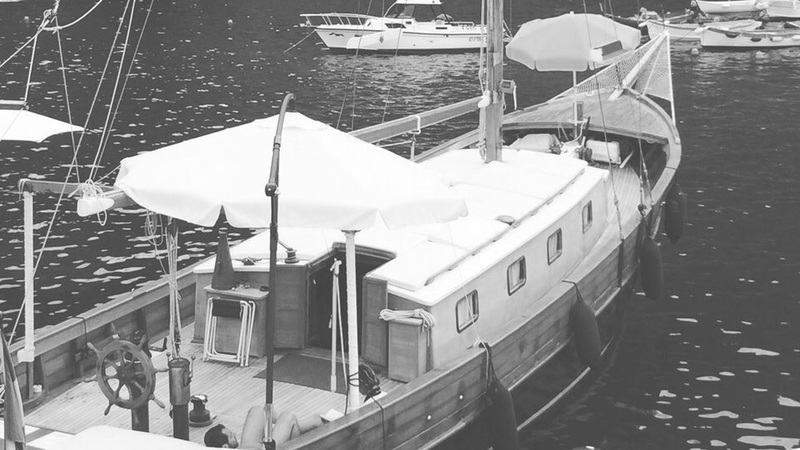 Both vessels of our fleet are the perfect choice for day sails to enjoy the beauty and richness of maritime life. The vessels are also available for small weddings, birthdays, private events and parties and photo shoots and can be booked for a variety of special functions. from 9.30 am to 1.30 pm - Light Lunch onboard (high quality local products). from 2:30 pm to 6:30 pm - with Cocktails and Locally sourced Supper. from 10:00 am to 6:00 pm - Explore the bays and coves of this enchanting area while dining on regional specialties. The vessel is also available for small weddings, private events and parties, photo shoots and facial and body wellness treatments. Soothing Massage, Ayurvedic Massage, Californian Massage. Anti-aging and Refreshing Facial treatment. Guided meditation combined with Ayurvedic massage.